The unknown position of an old mining gallery impacted the design of a new building. In order to locate in three dimensions this infilled gallery dug in the first meters below ground level, GPR and high resolution S-Waves seismic were used. 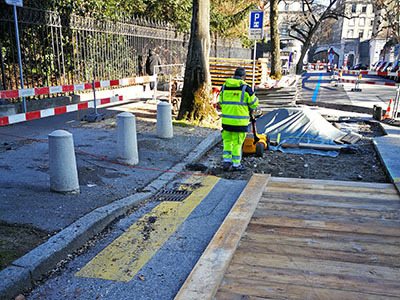 GPR allowed for a very accurate positionning of the gallery along with other buried services. S-Waves have provided additionnal information in areas were the gallery reached more than 5 meters underground. 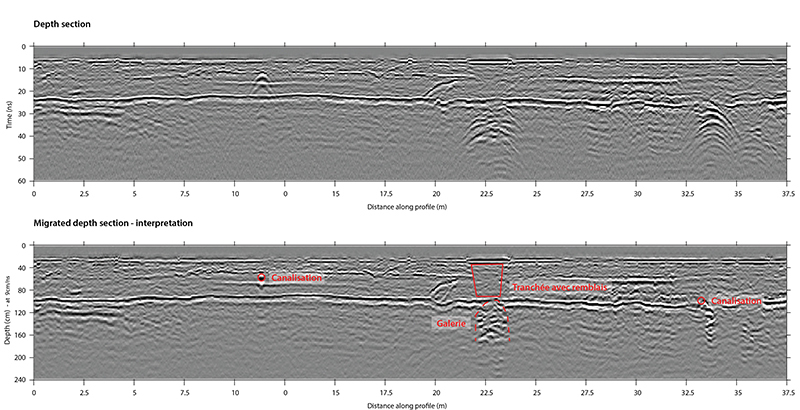 GPR Two-way time section and interpreted migrated depth section. Anthropic features, including the buried gallery are easily identifies along with the continuous top of Molasse.